Calling all REALTOR® or Affiliate Members that go above and beyond to help the community... we'd love to help your charity. You can nominate a member OR even your self! Recipients will receive a $500 grant for their charity and will be featured in GAAR's consumer outreach campaign that includes print ads and an appearance on NM Living. 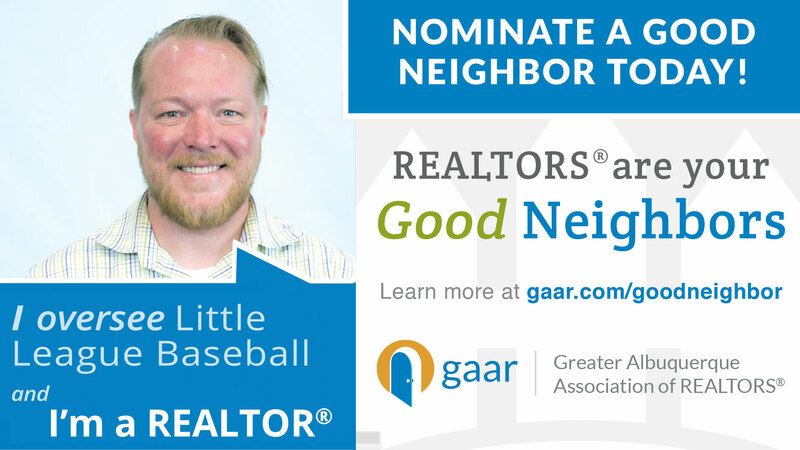 GAAR Good Neighbor Awards are open to all GAAR members, both REALTOR® and Affiliate, who dedicate themselves to volunteer service. Up to four REALTOR® recipients and one Affiliate recipient are awarded. Eligible candidates must be a member of GAAR in good standing, meet all eligibility requirements and submit completed applications. 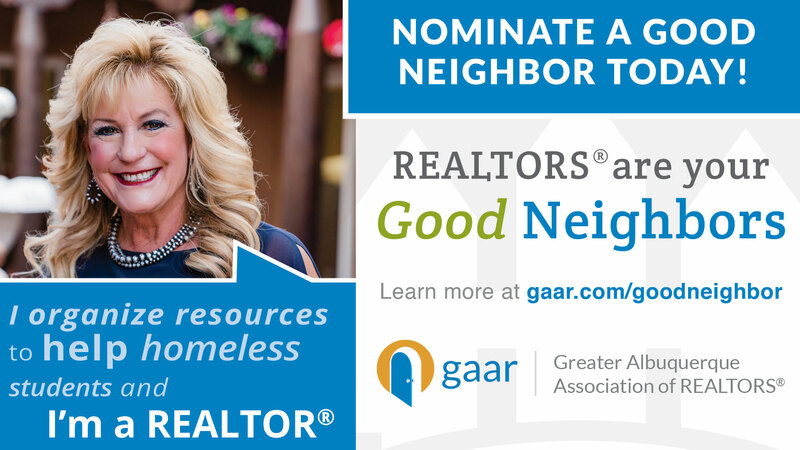 The Good Neighbor Award Program not only recognizes individuals and their charities for their good works, it also helps the public understand the positive impact of REALTORS® in our community. GAAR will recognize our 2018 Good Neighbors and their charities by acknowledging them on NewMexicoHomeSearch.com, magazine and newspaper ads, plus each Good Neighbor will have a chance to speak about their charity on NM Living during the year.